The Game Developers Conference (GDC) is the world’s largest professional game industry event. It attracts over 26,000 attendees, and is the primary forum where programmers, artists, producers, game designers, business decision-makers gather to exchange ideas and shape the future of the industry. Parallel to GDC, takes also place Game Connection, an event where 2700+ developers, publishers, distributors and service providers come to find new partners. The Game Connection Meeting App enables attendees and exhibitors to organise meetings in advance of the event. SWISSGAMES organises each year a delegation of the most promising Swiss game studios to GDC. The participation includes an exhibition space at GDC Play and Game Connection, business coaching before the event and a travel stipend. 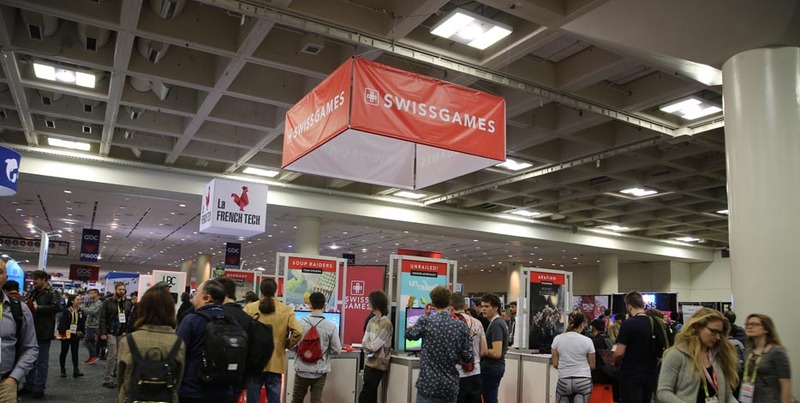 The selection to join the SWISSGAMES delegation at GDC and GCA is based on a call for participation.